Lake Forest-based Johnny Rockets announced its support for the Education Alliance Boys & Girls Club at the School of the Future in Manhattan. Johnny Rockets’ presented a $5,000 check to the representatives of the Education Alliance Boys & Girls Club to support after-school programming. Junior chefs from the Education Alliance Boys & Girls Club also grilled burgers and hand spun shakes with Johnny Rockets’ executives. 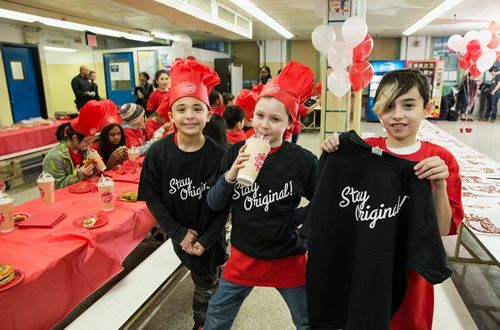 The students received junior chef hats and T-shirts with the saying Stay Original – Johnny Rockets’ tag line.